It’s about time I get back on track with this vacation stuff. 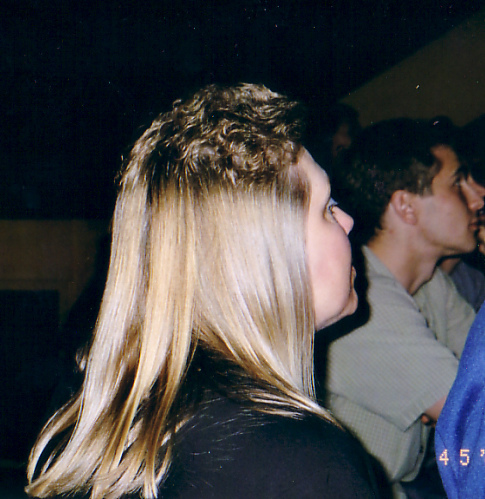 Last time I was knee deep in mullets (that just sounds dirty). After we left Eureka we drove to the middle of no where located roughly the mid 90s. The next day I preached for Father’s day and everyone said I did a great job. After that we were in a parade and then my wife, daughters, and youngest son went to Southern CA. The next day I had my first real day off in ages. Normally I have something going on even on my day off. I was able to read 2 whole books from my “must read pile” that is getting bigger faster than I can read them. Soon the list will resemble a book in length. I got to spend time with my son while my FIL was at work and made grilled venison steaks for dinner. I think that was the best and healthiest meal we ate while on this vacation. I also got to talk with my FIL after dinner. He is a pastor and the previous church was pretty bad. They really drove him into the ground and even though his current church is great to them he feels like he will be leaving the ministry for good soon. I feel like he is right because he doesn’t have a pastor’s heart anymore. I’m not sure how long it takes before a pastor loses his heart. I’m not sure if every pastor loses his heart. I do know that too many have but don’t even know it. I think the first sign is the way they “help” other ministers. Job had it rough, but I think the most unbearable part was the “support” he got from his friends. “Go curse God and die.” Yeah that’s some good advice there. Sure that might be part of the experience, but does the cynical response have to be part of the experience? Aren’t we called to something more? Didn’t Jesus say they would know we are His because of our love for each other? I’m pretty sure that the callousness is not exhibiting love. Right now I pray that no matter how hurt I get, that I will still see the hurt in others and be drawn to love them. Ministers out there, have you experienced this “counsel” from other ministers? Have you given this “encouragement?” Everyone else, have you told your pastor how much you appreciate him/her? They need it you know.